After property prices have been going up for quite some time, there seems to be a considerable amount of anxiety in Australia as house prices start to fall. According to Corelogic, so far there have been price declines of about 10% in Sydney and Melbourne. However, this is an average and masks the finding that top-end properties have been declining much more than affordable properties e.g. the average Broadmeadows house in 2017 is $540k and in 2018 it is $560k, a slight increase. However, in Toorak house prices went from $5 million 2017 to $3.4 million in 2018, which is a 30% decline and $1.6 million wiped out of the average Toorak house. If you own a home, does this mean it is a good time to sell it? Alternatively, is it a good time to buy? My answer is that I don’t know. In my opinion, it is rarely a good idea to try to time the market as studies show that most people fail to pick the bottoms and the tops. The better strategy is diversification. One form of diversification is diversification into different types of assets e.g. splitting your wealth across e.g. stocks, bonds, property, gold and cryptocurrency. However, with property there is little opportunity to diversify because each house is very expensive. The average family home in Melbourne costs about $800k. If you save up a 20% deposit of $160k and right after you buy there is a price decline of 30%, then you’ve lost $240k. Another major problem with expensive property is limited ability to dollar cost average. In a volatile market, you can invest a small amount every fortnight to smooth out the bumps, but this is clearly not possible if you’re borrowing to buy a house. Will I buy a property? I have been anti-property for a long time, preferring instead to live at my parents and invest in ETFs. My plan was to live off dividends and eventually use the dividend income to rent a place. When my dividend grew high enough, I’d retire early and travel the world forever, living in Southeast Asia. This plan was hatched during a time when I hated my job. However, as my salary and dividend income rise, I am having mixed feelings about gallivanting in Southeast Asia for the rest of my life, especially when I am starting to enjoy my work, and I’ve realised that although renting can be cheaper in some suburbs, this does not apply to all suburbs. In many suburbs, it is cheaper to rent, but there are some suburbs where it is cheaper to buy. This depends on a number of factors e.g. rental yield but also how much you earn. The more you earn, the more likely it is that it is cheaper to buy rather than rent. This is because you rent with after-tax income. For example, if you paid zero tax, then if you had a choice between buying a $1 million apartment or renting it for $40k per year then it is preferable to rent because you could invest $1 million in an Australian equity ETF or LIC (e.g. A200, VAS, BKI, or ARG) and earn about 5% dividend yield of $50k per year, use the $40k to rent and have $10k leftover. However, if you were earning enough salary such that you are taxed at 40% (if you earn over $80k then you pay 37% in income tax in addition to a 2% medicare levy so it is approximately 40%) then rather than getting $50k in dividends you’d only be getting $30k after-tax (ignoring franking credits), which is not enough to pay the rent of $40k per year. In this case, it is cheaper to buy. Although this may vary across different cities, as a simple generalisation, within Melbourne family homes tend to be cheaper to rent whereas units and apartments tend to be cheaper to buy. For example, using Toorak again as an example, the average Toorak house costs $3.43 million whereas it costs $965 per week (about $50k per year) to rent. If you had $3.43 million to afford a home, you’d be better off putting this in an ETF earning say 5% dividend yield of $171k per year. Even after tax and ignoring franking credits you’d have about $16k per year in dividend income. You’d then pay the rent of $50k and have $66k per year extra if you rented. However, this does not apply if you are buying or renting a Melbourne CBD unit (which is where I’d rather live). A unit in the CBD is $484k to buy and $530 per week ($28k per year) to rent. Putting $484k into an ETF earning 5% dividend yield would only give you $24k before tax, which is not enough to afford the $28k rent. Given that it is cheaper to buy ignoring tax, it will definitely be cheaper to buy after tax. The higher your marginal tax rate, the more likely it would be that buying is cheaper. However, this analysis ignores the high body corporate fees that apartment owners typically pay. Furthermore, an argument can also be made that Toorak homes are better investments vs CBD apartments. Therefore, it may be worth buying a Toorak home vs an ASX200 ETF as there is some hope that the Toorak home will outperform the ASX200 whereas there is little chance a CBD unit will outperform the ASX200, and this may explain the differences in rental yields. As I said, I am considering buying a place of my own. One of the reasons is that I am starting to dislike commuting and would rather walk to work. Another reason is that over time I am starting to dislike living with my parents. Furthermore, buying a place is not that inflexible. Even if I move, retire early, or even dislike the place I live in, I can arrange for a real estate agent to rent it out the apartment and forward any leftover rental income to me, so I can still retire early and live off rental income, although rental income will likely be lower compared to dividend income because the real estate agent will take a cut of the rental income as a fee for managing the property. Furthermore, rental yields are typically lower than dividend yields. Another concern with buying a property is debt. I believe that it is important to always be ready to retire because you never know when you’ll be fired or if you’ll hate your job. Buying a property usually incurs significant debt, and many people are tied to their jobs because of the mortgage. However, even though I own ETFs now, I still have a small amount of debt via a margin loan. I rationalise this by telling myself that the interest expenses is tax deductible and also in the event of a need to retire early I can easily sell off ETFs to pay off all the debt. This idea can be applied to property as well. If you buy an affordable property (e.g. $300k to $400k) and save up a large deposit (e.g. 50%) before you buy, even if you are fired you can sell the property and invest the proceeds into high dividend ETFs. Another alternative if you have enough equity in the property is to simply rent it out. If the equity is high in the property, the rental income should be higher than the interest cost as well as property management fee, which makes this a passive income stream similar to dividend ETFs. Another option is to sell all my ETFs and buy a place outright, but I’ve decided against this idea because then I’d forego dividend income as well as trigger capital gains tax. When I buy ETFs, my plan is to hold it forever. Ideally, I’d like to hold any asset I buy forever and live off investment income (with the obvious exceptions being gold and cryptocurrency). In my opinion, the best test of financial independence is to ask yourself how long will you survive if you have no job. If the answer is “forever” then you are financially independent. Right now, in my thirties, I generate about $20k per year in dividend income, which in my opinion is enough to live a reasonable lifestyle in Southeast Asia e.g. Bangkok, Chiang Mai, Bali or Sihanoukville. If I really hated my job now or if I were fired, I could fly to Southeast Asia, live there for a few decades, and then come back to Australia to collect my superannuation. However, even though I feel I could do it, I don’t feel comfortable relying solely on $20k per year in dividend income, and as I said, even though I hated my job many years back, I am starting to enjoy it more and more, so my plan is to stay in Australia and continue to invest and build more dividend income. However, if my plan is to stay in Australia for longer, I’ll need to consider my comfort, and two areas of discomfort in my life now are living with others and commuting. Basically being around other people bothers me. If I live with others, I have little privacy, and if I am on a packed train, it bothers me as well. Being at work with others bothers me if I am around the wrong people. The key is in having enough financial independence to allow you to have more say or control over the type of people you surround yourself with. Something I have learned about myself is that I am very much a people person. If I am around the wrong people, I feel extremely unhappy and depressed, but being around the right people can make a huge difference to your mood. Buying a place in or close to the city will cut my commute, allowing me to walk to work, and it will also allow me to live by myself. If I save up enough cash deposit and buy a reasonably cheap place, even if I do decide to retire early, I’d still be able to “positively gear” the property by renting it out and generate passive rental income, which when coupled with my dividend income can boost my early retirement living standards. 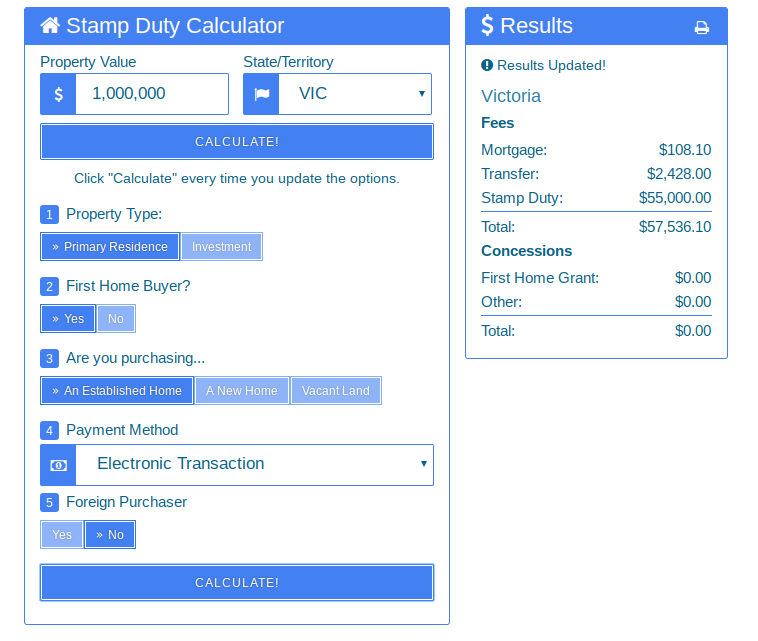 Author Calvin HaguePosted on March 9, 2019 March 9, 2019 Categories propertyTags AusProperty, ETFs, FI, FIRE, house, melbourne, property, RE, rentvesting, sydney, Toorak, unit2 Comments on Property Prices Decline in Melbourne and Sydney – Should I Buy? For probably two years now I have been buying up the Betashares Australian Dividend Harvester Fund (HVST), which is a exchange traded managed fund listed on the ASX. The appeal of this fund is that it pays a very high dividend yield (about 10% to 14%) and pays this dividend monthly. The monthly dividend payment normally gets paid into my bank account in the middle of the month, and every payment is roughly the same. Hence HVST makes living off dividends very easy. This is why I have accumulated over $100k worth of HVST. However, it is becoming increasingly clear that there are many flaws with this fund, the main one being that it has not performed well in the last few year compared to the ASX 200. HVST has significantly underperformed the ASX 200 over the last few years (chart from CommSec). That being said, I am not criticizing the fund or Betashares. I was well aware that the dividend harvesting technique employed by the firm would result in less upside when markets were going up. This is a result of the fund manager buying high dividend paying stock just before dividends are paid and then selling the stock after the dividend is paid. As stock prices normally go down after dividend payment (as the company’s value goes down in line with its reduction in cash) then naturally a dividend harvesting technique would result in lower capital gains. One way to help manage sequencing risk is to apply a dynamic risk exposure strategy, which seeks to reduce downside market risk…. BetaShares combined its expertise with Milliman to launch the BetaShares Australian Dividend Harvester Fund (managed fund) last November. The fund invests in large-cap Australian shares with the objective of delivering franked income that is at least double the yield of the Australian broad sharemarket while reducing volatility and managing downside risk. Based on this description, I was hoping that the fund’s risk management overlay would reduce downside movements, but the chart of the performance of HVST against XJO shows that when XJO turns downwards, HVST goes down by as much. When XJO goes up, HVST tends not to go up much if at all, which results in HVST falling by about 20% over the last few years while XJO has managed to increase in value by a modest 5% during the same time period. As I said, this does not mean I will not continue to invest in this fund. The regular and high monthly dividend payments are extremely convenient, and any capital losses made by the fund over time, in my opinion, can be compensated for by investing in ETFs in riskier sectors e.g. investing in tech stocks, emerging market, or small caps or even by investing in internally leveraged ETFs such as GEAR. For example, if you invest half your money in HVST and half in GEAR, you get the convenience of monthly regular dividends from HVST and any capital loss is compensated for with your investment in GEAR which should magnify upside market moves. Note that a limitation of the half HVST and half GEAR strategy is that when the market goes down, GEAR will go down significantly as well. Furthermore, another problem with both GEAR and HVST is that they have management expense ratios that are significantly higher than broad-based index ETFs mostly from Vanguard or iShares. Both HVST and GEAR have management expense ratios of 0.80 percent whereas Vanguard’s VAS is 0.14 percent and iShares’s IVV is 0.04 percent. Nevertheless, I do recommend many products from Betashares. One ETF that I am interested in from Betashares is their new sustainable ETF called the Betashares Global Sustainability Leaders ETF (ETHI). I normally buy ETFs in batches of $10k to $25k at a time, so I intend to buy a batch of ETHI and write a blog post about it later. I have mostly positive views about Betashares as they provide a great deal of innovative ETFs. 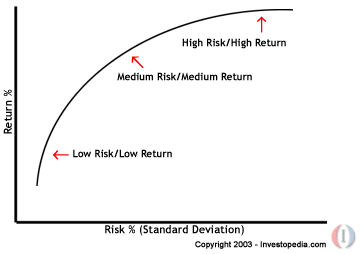 Update 18 June 2017: The poor price performance of HVST is explained in the Betashares blog article Capital vs. Total Return: How to correctly assess your Fund’s performance. If performance includes income as well as franking credits, the gross performance of HVST looks more favourable.